Area: 5m^2 to 10m^2. Light Source: 1pcs E27/E26 bulb. We stand behind our products. for international orders. The wireless RGB LED puck lights are high in bright. Convenient to use and enjoy. Illumination angle: 120°. 【 Excellent Material】 : High bright superb LED, flicker-free and anti-glare light without strobes and radiation, it can keep your eyes away from exhaustion. Trending at C $19.67eBay determines this price through a machine-learned model of the product's sale prices within the last 90 days. 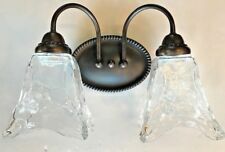 Absolutely Stunning Pair Of Vintage French Chateau Heraldic Shield Wall Sconce Brackets ​Hand Crafted From Wrought Iron Originally Intended As Gate Post/Exterior Lights With Basket To Hold Potted Flowers, But Would Make For Great Feature Lights In The Home And Would Look Particularly Good In An Alcove Either Side Of A Fire Place. ​They Have At Some Point Been Painted Gold, This Has Become Worn In Areas Exposing The Metal, Which Adds To Their Appeal/Look, But They Could Be Stripped Or Simply Re-Painted With Ease. ​They Are Hand Made So Have Subtle Differences/Imperfection, But Remaining Strong, Presentable And Once In To Position They Sit Proud. Each Of The Arms Which Hold The Bulb Holders Has A Threaded End And Hole To Feed The Cable Through, They Will Require Wiring When Installing. ​​. Adopted high quality COB light source, give you soft, bright light, no glare and flash. Can be placed in a closet, cabinet, bedroom, stair, drawer, corridor or any other dark place. The brightness of light is adjustable. Quality is the first with best service. Detail Image. We will try our best to reduce the risk of the custom duties. 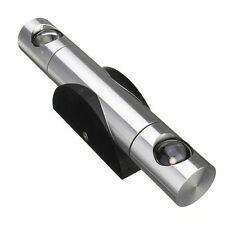 Outdoor Wall Lamp Up and Down Cylinder Wall Light Fixture Waterproof Exterior Wall Sconce Porch & Patio Lighting. The fixture is IP55 weatherproof rated to ensure high reliability and longevity outdoors. When you're trying to illuminate your bedroom, bathroom, or outside living space, adding wall fixtures can be an innovative lighting solution. Light fixtures that can be installed on the wall save space while making sure you have enough light to read, get ready, or finish your tasks. Wall lights come with a variety of shapes, sizes, and designs to fit your interior or exterior decor. What types of wall lighting are there? Flush-mounted - These wall sconces look like half moons. The light source is slightly obscured by a shade which diffuses the amount of light. This lighting is commonly found in many homes as they are versatile. 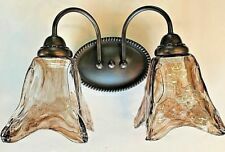 Lantern wall sconce - These sconces look like lanterns. They can appear to be antique or give a traditional feel to a room or an outdoor space. Candle sconces - These sconces are a throwback to the long-gone centuries. They often feature two candles on an ornate base plate. Swing arm - These light fixtures are mounted on plates with an arm that is movable. 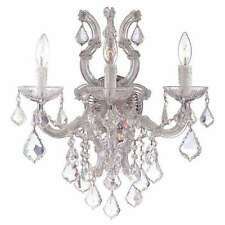 They are often used as accent or task lighting and you can manipulate them and move them to where you need them to be. Picture light - This wall light has a slender tube that comes out from the edge of the room. They are designed to be installed over pictures. When turned on, they illuminate photography and other works of art. What types of light sources are available? 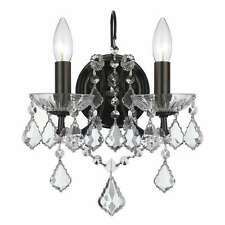 Incandescent lighting - Incandescent lighting is a frequently used type of lighting used both inside and out. These wall lamps create a warm, inviting glow. Halogen lighting - This type of lighting produces a bright white glow, making it easier to see in otherwise dimly lit rooms. Fluorescent lighting - Wall lights with fluorescent bulbs give off a glow that can provide ample lighting for bathrooms, bedrooms, and yards. They come in a variety of colours to help set the mood. LED lights - These lights are extremely energy-efficient while still being able to provide light. What should you consider when looking for wall lighting? Outdoor or indoor - Some wall lamps or light fixtures are only designed to be used indoors or out. 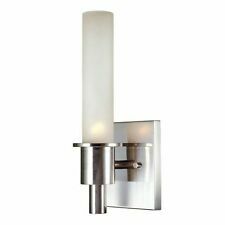 Make sure that you find wall sconces that work for the area that you are installing them in. Style - Your light fixtures should fit in with your interior designs. 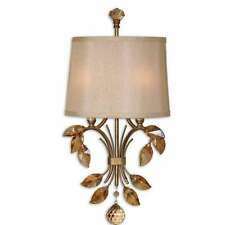 Because they come in a variety of styles, you should be able to find a wall lamp that you like. 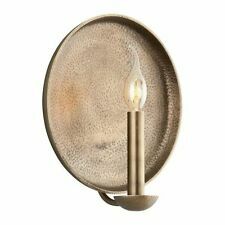 Hardware - The hardware finishes on the different sconces can range from polished silver to brass and copper. Some sconces may even be dark brown or black in colour.